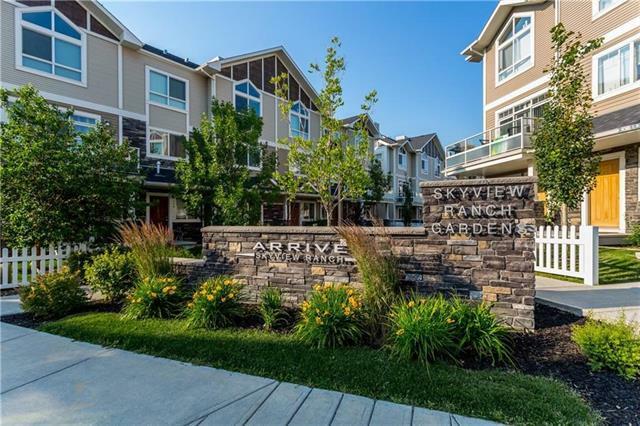 WELCOME TO THIS SPECTACULAR TOWNHOUSE in the wonderful community of Skyview Ranch. Affordable condo fees ONLY $180/month. 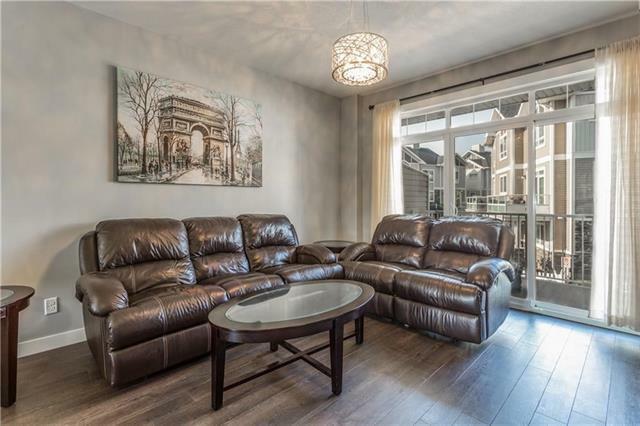 This 2 bedroom 2.5 bathroom condo features a modern open concept living space w/ 9 ceilings, rounded corners & warm & durable HARDWOOD flooring. The kitchen includes bSLS appliances which are hardly been used, tiled backsplash, large eating bar & dark upscale cabinets w/ lots of cupboard space & gorgeous green space views out the kitchen window. 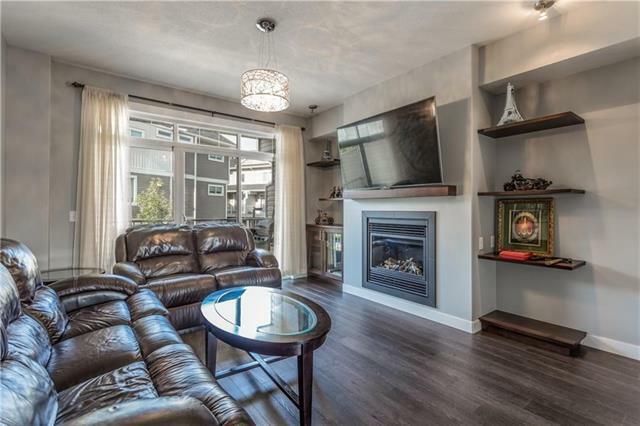 The cozy living room leads to the large balcony perfect for summer BBQs and Gas FP is just an addition. The upper most level you will find the spacious master bed w/ his & hers closets & a 4 piece ensuite; laundry area w/ high efficient washer & brand new dryer; a second bedroom & a separate 4 piece bath. The main floor allows extra living space for a den or home office. Footsteps from pathway systems, bus stop & a short walk to a brand new school opening soon. 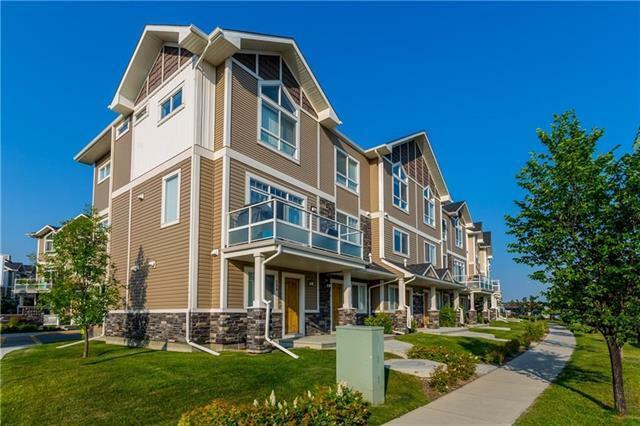 Only mins from Stoney & Deerfoot Trail, airport, parks & playgrounds.